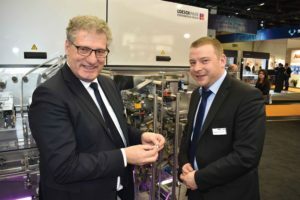 Koelnmesse has revealed that more than 90% of the available space has been booked for the event, which will attract around 1,700 exhibitors from a total of over 70 nationalities. 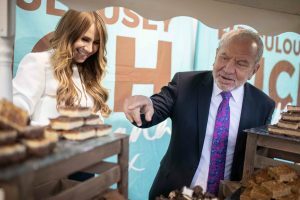 The fair’s scope covers the entire range of confectionery production, including snacks and biscuits, and will once again be held alongside ProSweets, with senior industry figures from across the manufacturing, product development and research fields anticipated to attend. Some of its highlights include product showcases, live demonstrations, and a host of new technology unveiled. The team from Confectionery Production will also be attending once again, so please get in touch with your news and views for these key events of the confectionery calendar. Chief operating officer Katharina C. Hamma welcomed the positive response so far for next year’s event, which will place a spotlight on major industry trends affecting the market, covering everything from digitalisation and the impact of emerging technologies, through to the rapid rise in consumer demand for vegan and healthier-option choices within product ranges. 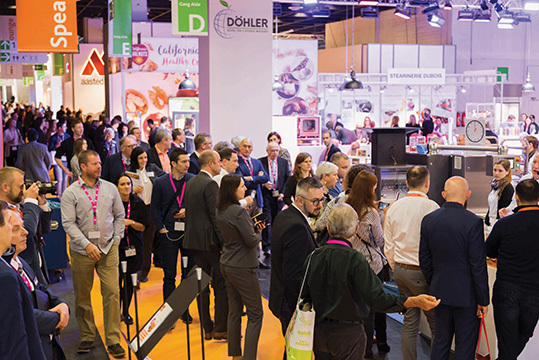 “Numerous market leaders have already registered as exhibitors for the coming trade fair, including for example United Confectioners from Russia, Barcel and Canel’s from Mexico, Baronie from Belgium Ricola from Switzerland as well as Lambertz, Griesson – de Beukelaer, Krüger and Katjes from Germany. So, the signs are very good and we are anticipating further growth. 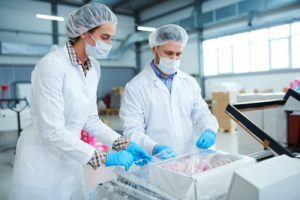 ProSweets Cologne – the international supplier fair for the sweets and snacks industry – will once again be staged parallel to ISM from 27 to 30 January 2019. Together both events covers the entire value chain of sweets production and sales at the same time and place – a worldwide unique constellation, explained Hamma of the event. She added that in addition to the events main seven halls, there will be an additional one (Hall 3.1) dedicated to meeting the increased demand for exhibition space for the 2019 event, which increases in floor space from 120,000 square metres to 128,500. Among the companies confirmed for the additional area of the show are Cloetta Holland BV, displaying its product line-up including nougat, fruit gums, wine gums, through to toffee and chewing-gum. Other businesses being represented include Korea’s Crown Confectionery, as well as Haitai Confectionery and Foods Co, plus Jalux Inc from Japan making its first appearance at the event with its cream bonbons, puffed rice, popcorn, potato snacks and rice snacks. The new hall will also feature Roshen Confectionery Corporation from the Ukraine, which has expanded its space over previous events. There will also be a Canadian pavilion for the first time since 2014.